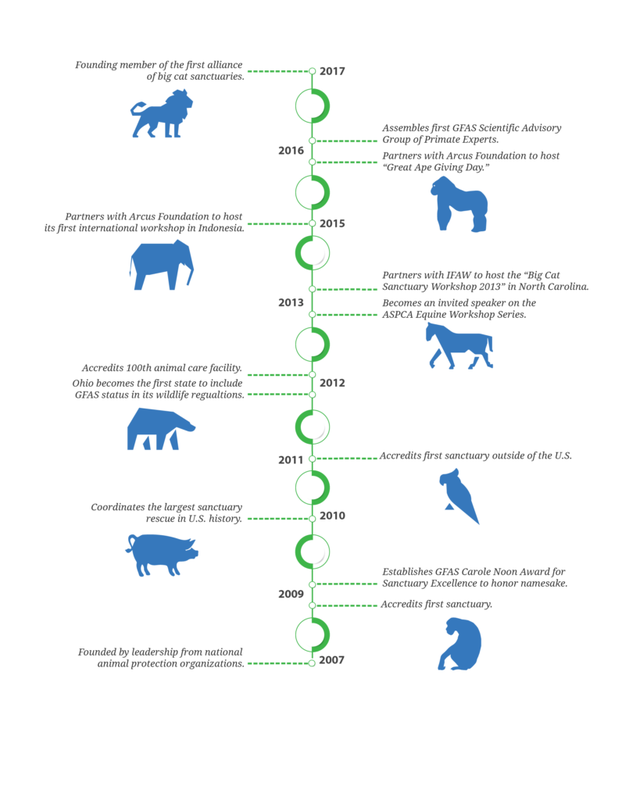 GFAS was founded in 2007 when several leaders in animal protection recognized the difficulty in identifying true sanctuaries among the wide array of animal care facilities around the world. As the title of “sanctuary” is not a regulated term, many facilities operating under the “sanctuary” umbrella do not adhere to any widely accepted standards of animal care. GFAS was created to help better recognize and support sanctuaries that are dedicated to providing excellent animal care.